When the launch trailer for Reverie was revealed, it instantly caught my attention. 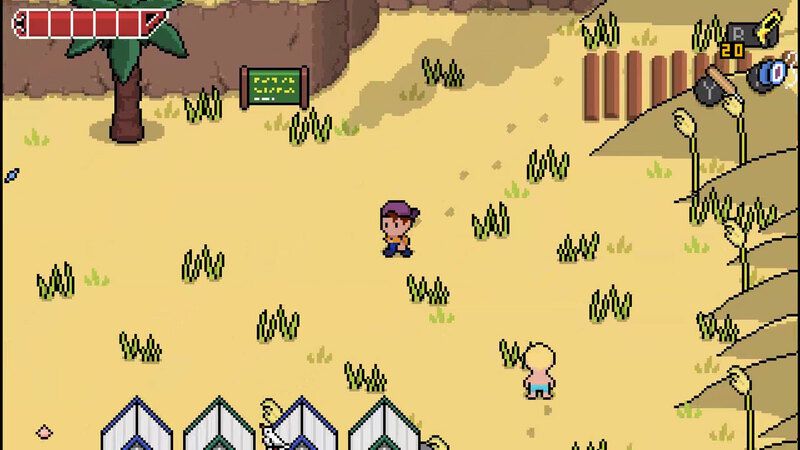 Any lifelong RPG fan probably wouldn’t be able to avoid thinking of the Mother (Earthbound) series after seeing only a few seconds of gameplay footage, and as a huge fan of that series, the visuals here alone were enough to make want to try developer Rainbite’s imaginative adventure. Spoiler alert: it doesn’t disappoint. 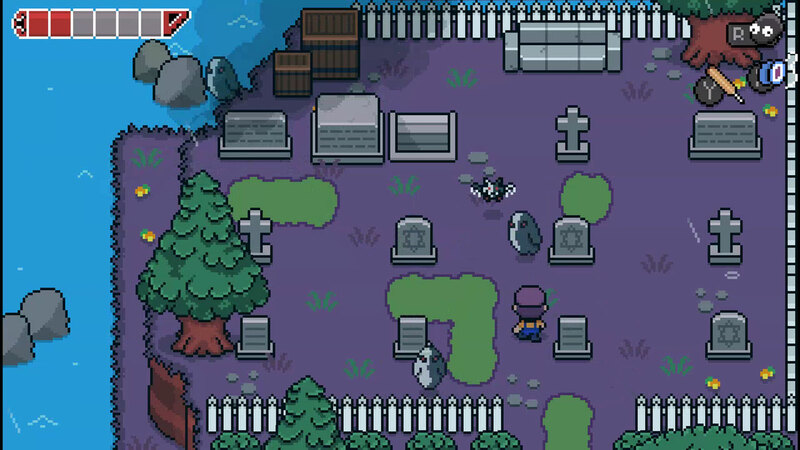 As previously stated, Reverie features a colorful 16-bit style from a top-down perspective that favors the Mother series. 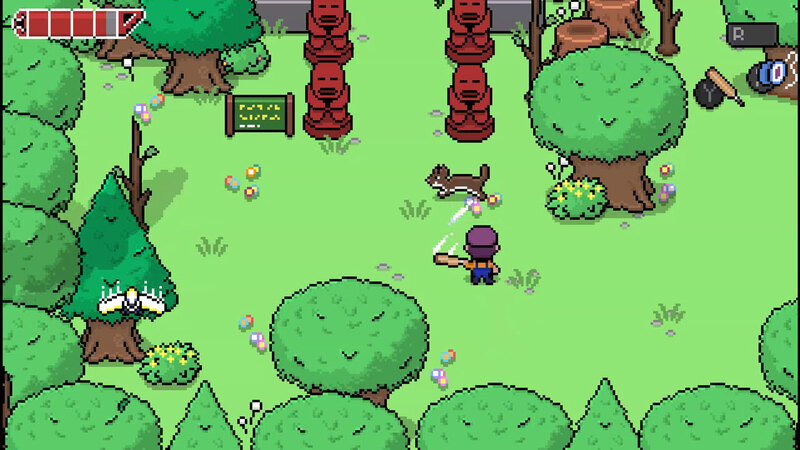 Main protagonist, Tal, even features a ball cap and wields a bat just like our old pal Ness does. Reverie isn’t going to blow you away with its visuals, but it doesn’t have to. It’s simple but very colorful, the environments and dungeons are vivid and lively – creativity oozes from each locale. Your “dungeons” seem to be taken right from a playful child’s imagination and range from a tree house, grandpa’s basement, to a wildly large sandcastle, each of which are isolated to a beautiful, small island in New Zealand. Each has its own unique visual qualities and never gives you that “I’ve been here before” type of vibe. Reverie excels by evoking that nostalgic feeling while at the same time making every location feel like something completely new and innovative. 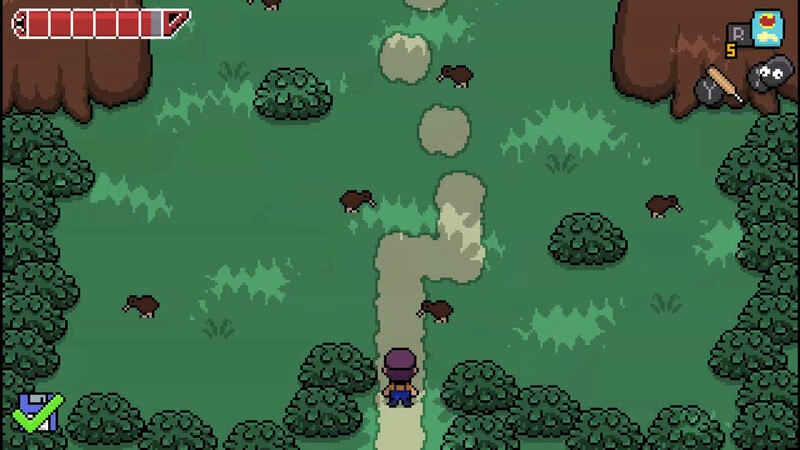 Although Reverie May look like Earthbound on the surface, you’ll quickly be reminded of a different legendary SNES classic as soon as you take control of Tal in the game’s first dungeon. There is no denying the influence that The Legend of Zelda: A Link to the Past had on the Adventure RPG genre. In fact, it may be the gold standard, and Reverie will remind of you of that same adventurous dungeon crawling formula that A Link to the Past perfected so many years ago. Each dungeon contains a map, a specific weapon that is required to advance through, and its own dungeon boss. Is it a revolutionary new formula? No, but it doesn’t have to be. It may have taken the better part of three decades to happen, but Rainbite has finally managed to give us a game that is very worthy of competing with A Link to the Past in terms of dungeon crawling perfection. What separates Reverie from the pack is its ability to take simple ideas, add a twist of imagination, and then make it feel like something much more grand and epic. For instance, Tal doesn’t use your basic battle items. He’s a boy after all, and he uses things that you’d expect a boy to use. His weapon of choice is a trusty old cricket bat but you’ll come across more important discoveries along the way, such as flippers and a snorkel for swimming to hard to reach areas, and a Nerf gun for shooting targets and enemies that you couldn’t otherwise reach. And this is the beauty of Reverie. With each treasure, I couldn’t help but smile at how perfect it was in its simplicity. The discovery would be exactly what a boy with a big imagination would use to overcome whatever obstacle stood in his way. 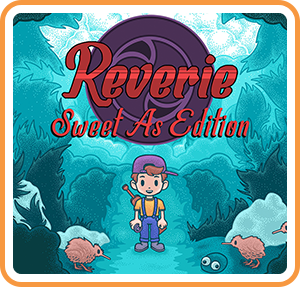 Reverie isn’t just your typical story of a young boy on a “fetch quest” adventure. There is actually a deep and extremely entertaining arc happening here. Tal is on a mission to calm the spirits of 3 brothers that are wreaking havoc on the island. The lore runs much deeper than that, but we’ll avoid the spoilers. Suffice to say that one brother is particularly a bad apple and he can be taken care of with the help of his brothers once Tal is able to calm their spirits. Getting the job done will only take about 10-12 hours as there are only 6 dungeons in Reverie, However nothing feels rushed. The story gets its due spotlight here and that is refreshing within this particular genre. Legendary Nintendo game creator Shigeru Miyamoto once stated that he came up with the concept of The Legend of Zelda while recalling his days as a boy exploring the woods in rural Japan. Zelda was his attempt at recreating that sense of adventurous exploring and imagination. While Zelda turned into more of a fantasy style epic with kings, swords, wizards and princesses…Reverie seems to be exactly the kind of thing that Mr. Miyamoto was trying to bring to life. In fact, one could argue that the entire game is nothing more than Tal going outside to play and search for his own brothers while using his toys and imagination to fill in the rest. It truly made me remember my own time as a kid, playing outside and creating my own imaginative adventures with my Nerf gun on my hip, and my baseball bat playing the role of a sword of legend. I think if Mr. Miyamoto himself took the time to play Reverie, he might have similar thoughts about how he was trying to recreate this sense of adventure and imagination. I think he’d be proud of Rainbite for doing exactly what he set out to do some 30 plus years ago, and I can’t think of a greater compliment a game, or it’s developers, could receive. PLAY THIS ONE!! !